The Notes App on the iPhones allows you to lock your notes which you want to keep as private from others that are likely to use your iPhone. 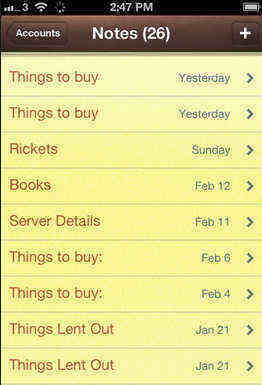 There is a single password which is set for all your notes which you want protected. All this is fine, but what happens if you forgot notes password? If you approach Apple, you will not get any help to regain access to those locked notes of yours. It will only facilitate to reset your password but you will not have access to the old notes. When this happens, you may end up with multiple notes and with different passwords for them. So when you forgot notes password on iPhone, how to unlock it? This tutorial will introduce top 2 possible methods to you. Step 1: Launch the Notes on the iPhone. Step 2: Locate the note you want unlocked and then tap on it with your finger. Step 3: You will have to tap on View Note which is right in the center or tap on the Lock button which is at the top right portion of the screen. First, you have to ensure that the iPhone is switched on and then connect it to your Mac or PC with a USB cable after downloading and installing. Now you are ready to launch iPhone Data Recovery on the PC/Mac you are using. The default mode will be "Recover Data from iOS Device". This program helps in detecting the iPhone, automatically once it is connected and then trusted. Click on "Repair Operating System" after connecting. Hit on "Start" button and get ready to repair operating system. Click "Download" button to download latest firmware package. Within 10 minutes, it will repair your system until it becomes normal. This will help you unlock notes password but the data will be lost in advanced mode. The powerful function of UltData will repair the iOS and your iPhone will be updated to the latest iOS upgrade after restoring and you will be able to get how to access a locked note on iPhone. While this repair is being carried out, you have to make sure that you do not use the iPhone. How you can recover lost data directly from your iPhone after unlocking? Such data may include Notes, SMS, photos, App Data and call history. It does not matter if you have lost data or forgot notes password; iPhone Data Recovery from Tenorshare will help in that recovery once you download it from the official website, regardless of whether you have lost your data after an iOS update or jailbreak. This program will help you scan for all the lost files and recover them for you. You will get a chance to preview those files before you recover them. After you unlock the passcode, you have to use "Recover Data from iOS Device", "Recover from iTunes backup Files" or "Recover from iCloud Backup Files" in order to recover your lost notes. You will recover lost data from your iPhone, regardless of how you lost it. This article has given you the keys in the form of iPhone Data Recovery software and Touch ID and for unlocking the notes password and data when you can't remember password for locked notes. 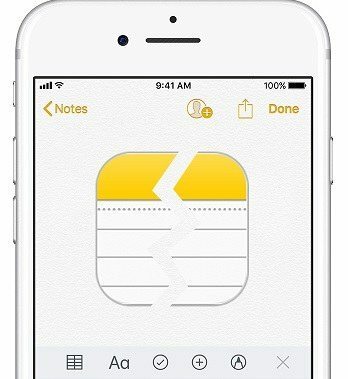 How to Fix If iOS 9 Notes Not Syncing?